今、日本の「ケンチク」がアツい！／ Japanese KENCHIKU (Architecture) Attracts the World ! Hello everyone! It’s nice seeing you on the blog. 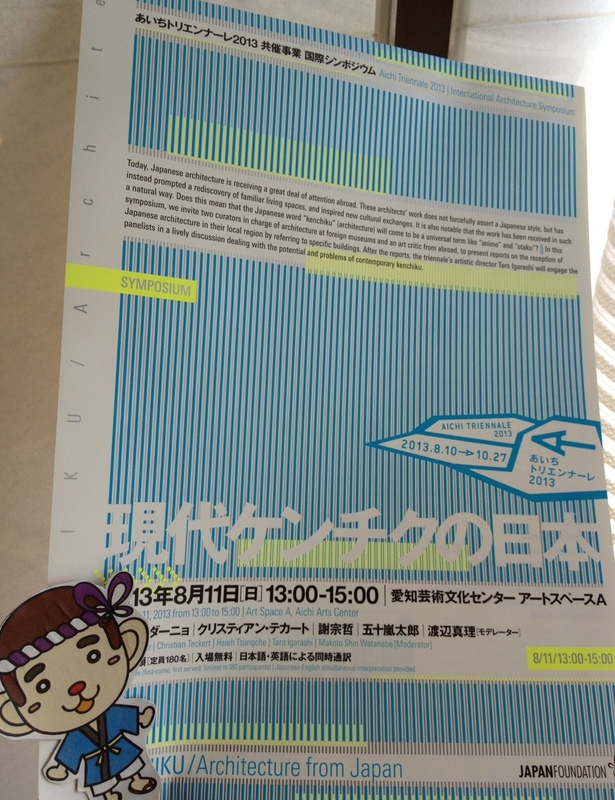 which is an international festival of art held in Aichi once every three years! Did you know that Japanese KENCHIKU (Architecture) attracts more and more international attention these days? so please don’t miss it!!! Take care for the rest of the summer!